The cordless screwgun features a DeWalt built brushless motor that matches what is expected from a corded screwgun by delivering 4,400 RPM. At 3.3lbs with a 2.0Ah pack, and measuring only 8-¾” in head length, the DCF620D2 is both shorter and lighter than DeWalts own leading corded screwgun. 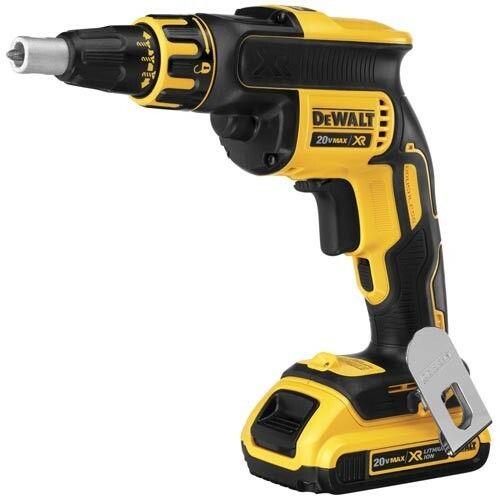 According to DeWalt, with only one 2.0Ah battery (DCB203) the user can to hang up to 45 sheets of ½” drywall on pine studs with 1-¼ drywall screws (using 50 screws per board). 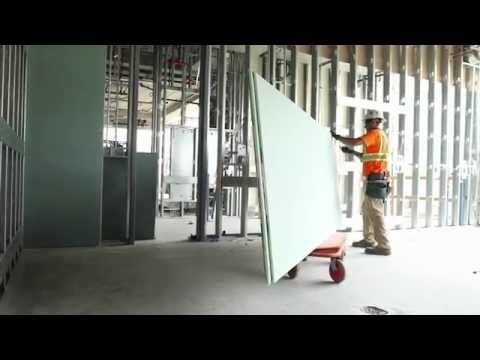 A 4.0Ah battery (DCB204) allows the user to hang up to 58 sheets of ⅝” drywall on 20g steel studs with 1-¼” screws (using 50 screws per board). Other features include an adjustable depth nose cone, a trigger lock-on switch, an LED light with a 20 second shut-off delay and a belt clip. Additionally, a Collated Auto-Feed Magazine Attachment (DCF6201) will be available separately. Available this April, The DCF620 is sold as a bare unit (DCF620B: $139.00), as a kit with two 20V Max Lithium Ion 2.0Ah batteries (DCF620D2: $199.00), or with two 4.0Ah Lithium Ion batteries (DCF620M2: $269.00). The collated magazine attachment (DCF6201: $99.00) will be sold separately. As a union carpenter Efrain takes pride in his work because of the passion he has for building. 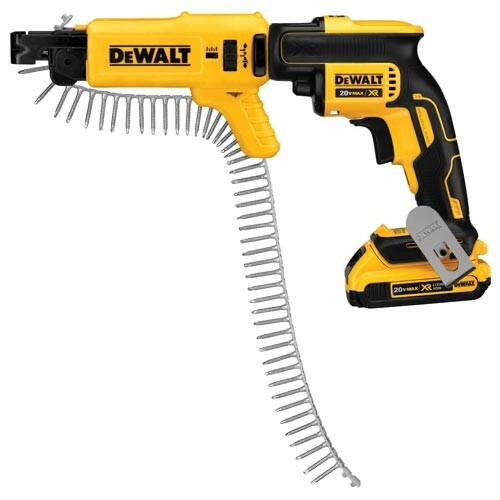 See how he uses the NEW Dewalt Screwgun, coming April 2015.